Millions of Americans suffer from problems of the hand and upper extremity. With more people relying on computers for work and play, and with the skyrocketing popularity of computer games, carpal tunnel syndrome is a growing problem. 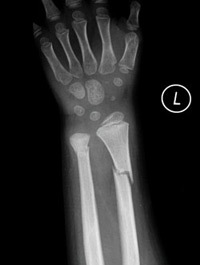 Hand and wrist dysfunction can be triggered by arthritis, a sports injury fracture or an accident. It can be work-related or a congenital disorder. In every case, expert care for your hands and wrists is vital. Hand surgery is complex. Traditionally, it includes treatment of the entire hand, wrist and forearm as a whole. Lakeside Orthopedic Institute Inc’s orthopedic surgeons have undergone an additional year of fellowship training to be granted certification in hand surgery. Our expert physicians diagnose and monitor your progress. From diagnosis to surgery to therapy, our primary objective is your active productive recovery. Arthroscopy of the wrist investigates and treat symptoms of repetitive strain injury, fractures of the wrist and torn or damaged ligaments. In addition, wrist arthroscopy can establish the severity of joint damage caused by arthritis.